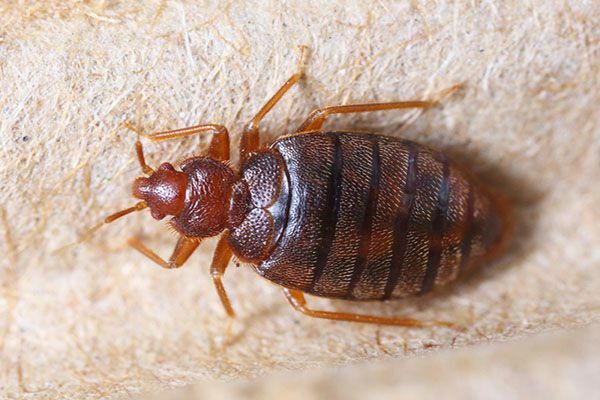 For homeowners across the US, as well as those who travel abroad, bed bugs are a greater concern now than they have been in more than fifty years. After having been nearly eradicated in the 1950s, through the use of chemical pesticides like DDT, these diminutive parasites are back with a vengeance. There has been a surge in cases of bed bug infestation in every major US city, as well as in cities throughout Europe and South America. Before spending money on how to stop bed bugs or ways of preventing bed bug infestation, it’s good to do a little research. With most of us having grown up without bed bugs being a widespread concern, a lot of myths, fables, and old wives’ tales have replaced widespread common knowledge as to just what they are, whether or not bed bugs are a threat to human health, and how bed bugs establish a colony. Here are 8 of the most common myths that many people have come to embrace about how to deal with bed bugs. In the 1950s, DDT drove bed bugs to the brink of eradication. Unfortunately, this odorless, tasteless and colorless pesticide also proved to be dangerous to the health of small children, household pets, wild animals, the elderly and infirm, people with a wide range of allergies, and individuals with existing respiratory problems. Modern bed bug populations have demonstrated tremendous resilience to other pesticides. This myth takes on many forms. Some people believe that certain species of a bed bug can fly. Others believe that all bed bugs can fly under the right circumstances. One version of this story holds that bed bug nymphs (their young) can fly, with variations on that which match the previous list. All versions are false; no bed bug, at any stage of its life, can fly. They have no wings. Under typical conditions in America today, including average room temperature and environmental hazards, a bed bug can survive at room temperature for up to 3-6 months without food. This does vary somewhat depending upon a variety of factors, but the full year has only been observed under strict, laboratory-controlled conditions. Early in the 20th century, many people bought mattress covers to try and keep out bed bugs. There are even companies which sell mattress covers specifically designed to keep out bed bugs. These mattress covers do exactly what they’re presented as doing: they protect your mattress. They don’t protect your home, your other furniture, your electronics, your books, your linens, your clothes, or any of the people who live in your house. Pesticide foggers, or “bug bombs,” release pesticides and chemicals into the air circulation of your home. In response to this, insects will immediately run for cover. The fact is that, short of using highly toxic substances like DDT, modern pesticides have little effect on bed bugs—and even less, with anything short of a direct application. It takes individual spraying to kill bed bugs, not a bug bomb. Bed bugs will reproduce and defecate right where they feed. 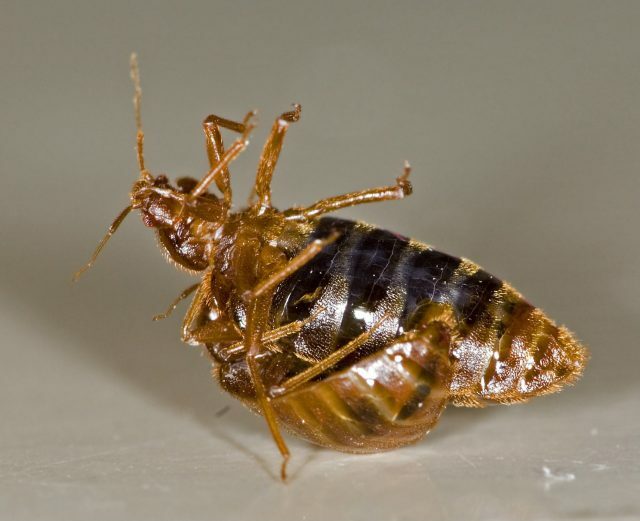 This has led many people to believe that bed bugs live within beds (hence the name). Bed bugs will also set up long-term residence in bags and suitcases, linens, piles of discarded clothing, cars, trains, movie theatres, and within cracks and separations in a wide range of common surfaces in living areas. Bed bugs are typically nocturnal, but one of their great strengths is the ability to adapt to our activity cycle. Bed bugs bite primarily while we’re sleeping, and can learn to be active during daylight hours; they will also feed on resting individuals during the day if they’re particularly hungry. Most insects can produce thousands of eggs over the course of a lifetime. In comparison, the bed bug is actually fairly slow: a single female can only produce about 500 eggs over her year-long lifespan, the equivalent of what a fly can lay in just a few days. Over millions of years, many plants have evolved complex chemical deterrents to protect themselves from insects and other harmful pests. Take advantage of the pest-fighting power of essential oils like clove, mint, citronella, and rosemary. Buy Bed Bug Bully, and start fighting back today!